SpicyIP, India’s premier blog on intellectual property (IP) and innovation law and policy has made it to the list of Managing IP’s annual selection of the top 50 who are shaping the future of intellectual property. Delighted with the achievement, founder of SpicyIP, Mr. Shamnad Basheer told Live Law, "We've come a long way since 2005, when I'd kickstarted this out of sheer boredom and was the only blogger. We now have a terrific team of 12 bloggers, many of whom are law students...their understanding and appreciation for the nuances of IP continues to amaze me. This recognition from MIP owes itself to their tireless efforts...and to the leadership of Swaraj Barooah, the current editor in Chief. And of course to our regular readers and subscribers who take us to task often and force us to continually up our game in IP reporting and analysis. 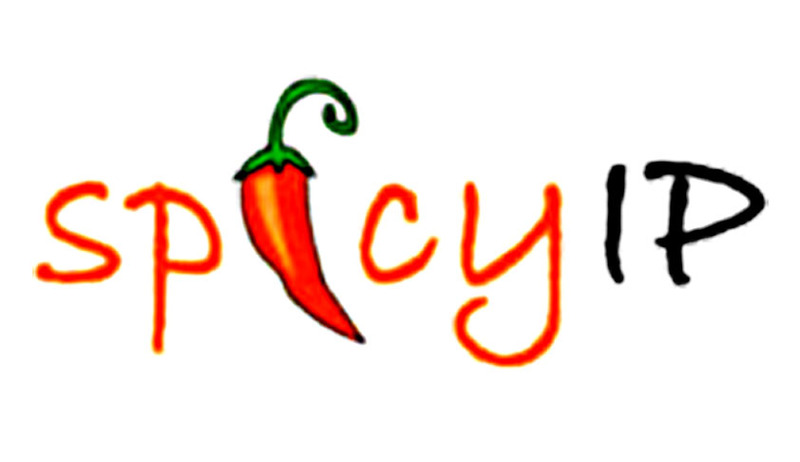 As we near our tenth anniversary, we're seriously considering taking SpicyIP to the next level, including registering it as a formal legal entity for the first time, hiring full time people, expanding our operations to include IP training and other allied activities, and possibly even branching out to other countries. It’s a very exciting time for us." The list has been divided into five groups: one is law (judges, legislators etc. ); another is business and entertainment; a third is policy makers and a fourth is what we are calling advocates. The entry for SpicyIP in the MIP top 50 listings reads, "Spicy IP is the leading blog on IP in India, and is particularly noted for bringing unpublished rules and decisions to the public - a vital service given the country's rapidly developing law and economy. It was founded by academic Shamnad Basheer but now has a team of 14 analysts and fellows, who write in a lively, engaging and immediate style. It also covers some developments outside of India, such as plain packaging." Founded in 2005 by Prof. Shamnad Basheer, an IP academic and consultant, the SpicyIP team now comprises of 9 members and 3 fellows, well versed in different aspects of Indian IP law and policy. SpicyIP is clearly the leader in its niche in India. For most in the tech world, SpicyIP is the first place to stop to understand the convergence of technology and law. Indian tech journalists and techies credit SpicyIP for being the first to report on the shady dealings at Satyam well before a single mainstream newspaper picked it up. And its coverage of the weakness of the Dual SIM patent has been unparalleled. Mr. Swaraj Paul Barooah, Editor in Chief at SpicyIP, earlier in an interview with Live Law elaborated upon the institution of the blog and its growth, stating, “I believe Shamnad started the blog in 2005 mainly due to the lack of IP reporting and analysis in any mainstream newsource. The little reporting that was done usually messed up the details or plainly misreported IP news. Fortunately, this has changed (slightly) for the better now. SpicyIP has also been a regular crusader for more transparency in Indian IP – from our (successful) petition to the PM’s office asking for a comprehensive electronic patent database for public access, to our RTI investigations into the authorship of the controversial Section 3(d). Over the years, thanks to our bloggers (special mention to our now former colleagues Sumathi Chandrashekharan and Prashant Reddy) and our readers, SpicyIP has been doing quite well for itself. Amongst other things, it’s been listed as the 8th most widely read patent blog in the world, one of the top 50 shapers of the future of IP, and has been included in several databases (Lexis Nexis, US Library of Congress, etc) as a top IP resource for India.” Read the entire interview here. Over the years SpicyIP has grown, and gracefully so, attracting several laurels to its credit. It was featured in the global legal publisher as a top IP resource from India by Lexis Nexis The blog was included as a top IP resource by the US Library of Congress, as well as in the ABA listings of bogs. It was listed as the 8th most widely read patent blog in the world. Other Indians on this list include Nirmala Sitharam (Minister for Commerce and Industry, Finance and Corporate Affairs) and Chaitanya Prasad (The Controller General). You can read the entire list on the MIP website here, which regrettably can be accessed by subscription only.